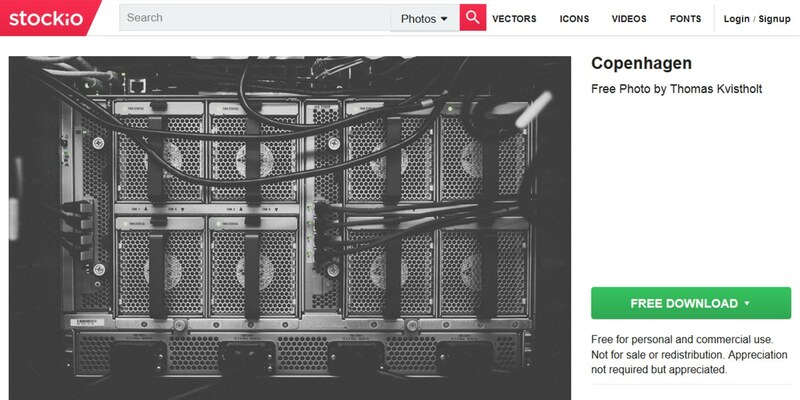 Stockio.com is a new contender in the already overcrowded “free stock resources” ecosystem. But, I won’t complain about that. More free resources mean a boost of creativity. While there are quite a few sites where you can find photos, various kinds of icons, lots of music and even videos for both personal endeavors or commercial projects, Stockio comes with an added value in both quantity and quality. I’ve discovered Stockio on Product Hunt. Opened the project’s website in a new tab and, as it usually happens, forgot about it. A few days later, while I was engaged in some boring tab cleaning session, I’ve run into it again. I’ve immediately noted the clean layout and the lack of any intrusive ads that come attached to most free stock sites. And no, I did NOT have any ad-blocker installed! So, I’ve started to explore it. Half and our latter, Stockio earned a place in my bookmark list. Why? Let’s do a test drive. 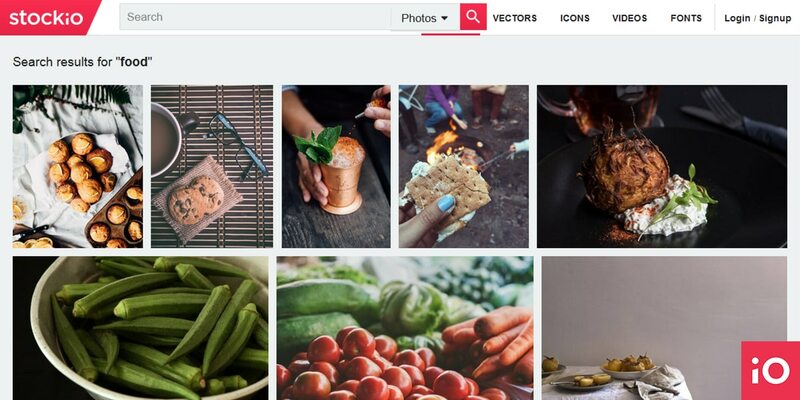 We’ll start our little experiment by using the site’s search engine to find 3 types of images: business, computer and food related images. To my surprise, when I searched for the “business” term, expecting to see the same lifeless stock images of a “serious man in a black suit” variation, I’ve run into that amazing image of the two business men with an umbrella. A gorgeous shot. Marvelous! Take a look further. 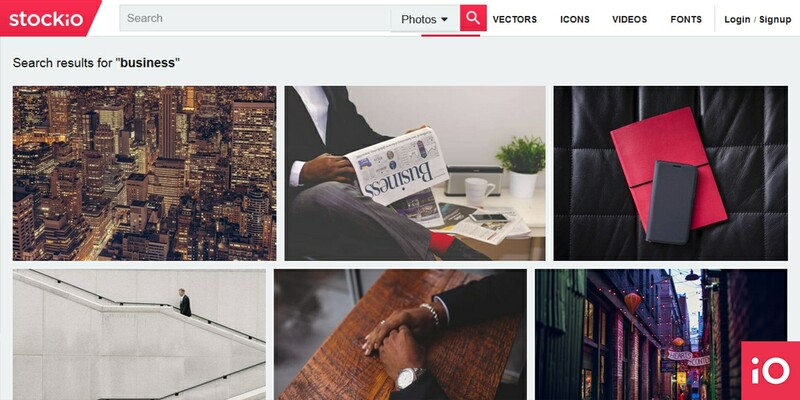 Even the cliche “man in the suit with expensive watch” type does look great, with that subtle artsy feeling, but without the “instagramesque” feeling you’ll find on most free stock sites nowadays. Great. Ok, let’s switch to something lighter. And the winner of the people’s choice: FOOOOOD! Let’s see what we’ll get if we’re looking for “food” on Stockio. Insert the magic work in the search box, click the search button and enjoy! FORTYSEVEN pages, all filled with different dishes from all around the world and other savory and appetizing things ready to make anyone reflect on the idea of launching a new food blog. Gourmands around the world, UNITE! Ok, ok, No food blogs today. Let’s switch our attention to another generic term “computer”. Shiny fruit computers, code lines, and even “skynet” will fill your result page. Ready to take over the world? Have a look at the featured section. 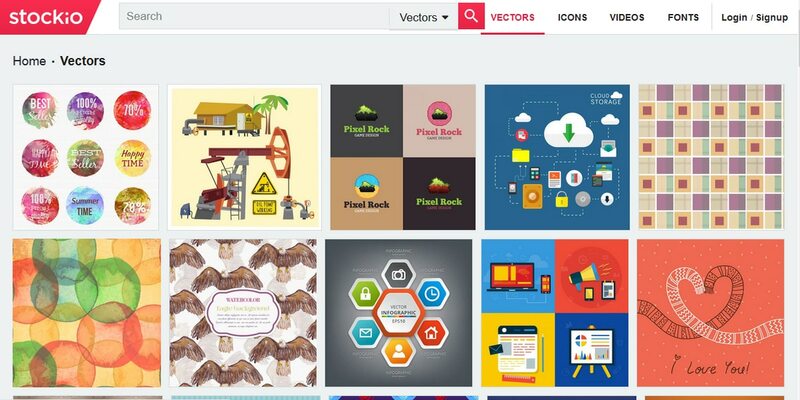 Click on the view more and you’ll find vectors to suit any needs and taste. Basic cliparts, fancy decorations or old fashioned clipart like vectors are available for your needs. Sixty pages to explore and not enough time, because here it comes, the icons section! Dreaming of traveling to Himalaya? Or is it the Canary Islands in your priorities list? Well, you could start by designing a travel app. You may start with the right icons. A search for “travel” will return 15+ icons, including that gradient stroke plane icon. 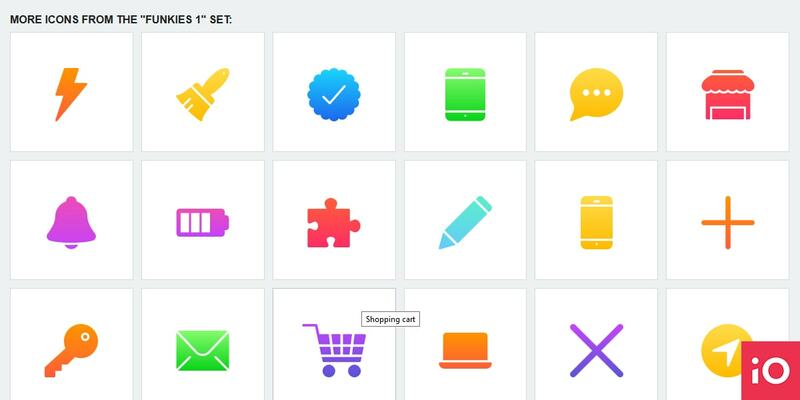 Below, you’ll find a series of icons of the same style that you can borrow for our application. Scroll down a little bit more and you’ll see other different sets. Don’t forget to include me on your alpha testers list! Who needs Videos when we have Gifs? Well, not everything revolves around gifs. Or does it? 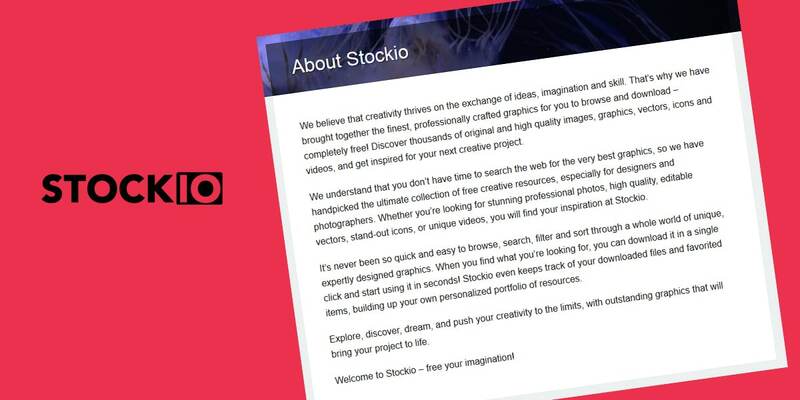 Anyway, if you need a nice video for your website background, have a look at Stockio. Let’s say, you want to build a weather website, that switches its background according to the actual weather. 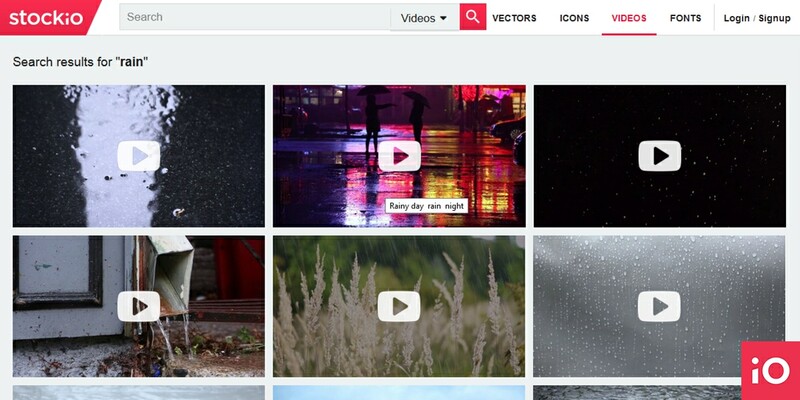 Unless you live somewhere outside of earth, then you’ll need some rainy videos. Luckily, Stockio has them. Twenty five to be precise. Fonts, give me all the fonts! 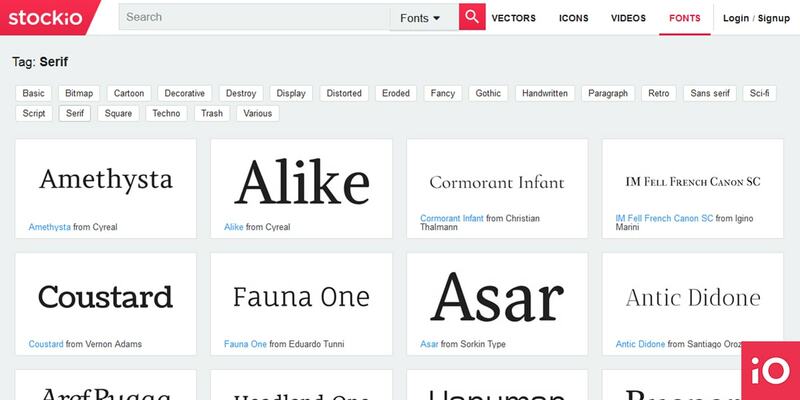 Stockio has an impressive gallery of fonts. 358 pages with 32 fonts per page. The font section will allow you to narrow down font styles. But don’t get caught into it too much. 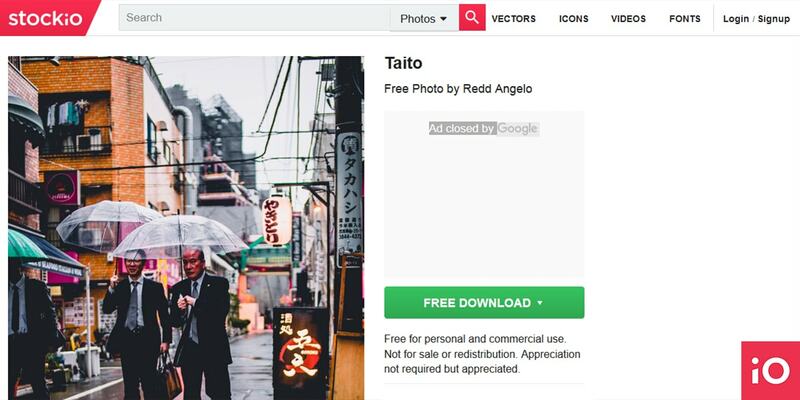 If you’ll have a look at some tips here, on Designmodo, you’ll be just fine. Once you click on an item, you’ll get the first-row view of the item, the title of the item, the name of the author, download options, a small description and some tags. Depending on the type of item, you’ll also get some specific fields. For example, for fonts you’ll also get some additional, including the test drive tab, where you’ll get to see how the font looks like in real life. My favorite feature is the color picker, that will allow you to find pictures or vectors with the same color tone. In addition to that, underneath each asset, you’ll get some related elements. 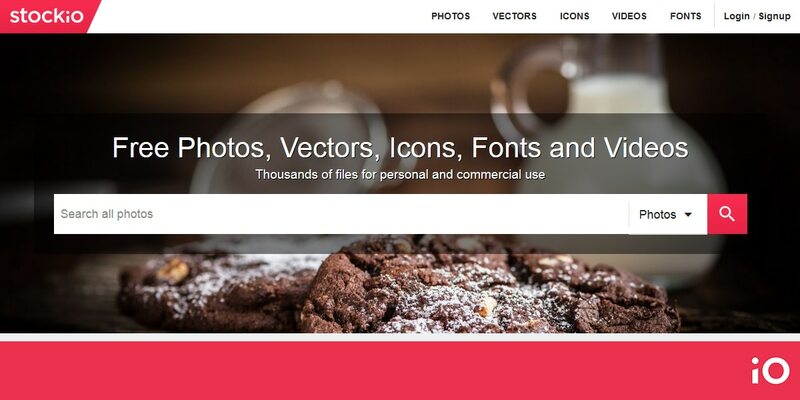 It’s a great way to build a cohesive set of images, vectors or fonts for your project. All the assets you’ll download from Stockio.com are free to download and come with a free license for both personal and commercial projects. With more than 982 pages of stock images, 25 pages of videos, 4,500 icons and more than 11,000 free fonts, it’s a wise thing to bookmark Stockio in your favorite browser. Stockio.com is a new platform on the market. There are a few things to fine tune. For example, the dissonance betweenthe searchh options and the menu, or the lack of pagination option. Other than that, Stockio impresses with a well-structured and comfy website, a powerful search engine, translation options, and, of course, a huge selection of stock items. You should know that Stokio promises to handpick all the assets published on the site. This should ensure that you get the best of the best. That’s why, you don’t get that generic feeling you may find on similar sites. you are not on just another stock site”. You are on Stockio.com. So what are you waiting for? Be inspired! Search! Create!